Article by Charles Mercer, originally published in the Denver Post, March 22, 1956 (page 29c). “Pale Horse, Pale Rider” is a quietly-written story of a young newspaper woman who falls in love with an army lieutenant during World War I as he is about to leave for overseas. She is stricken with the flu and he cares for her until he too falls ill. He dies, but she survives. From her suffering she—and the reader—finds maturity and nobility of character in the will to live. Whether the TV adaptation coveys the mood and self-discovery and wisdom of this excellent story I do not know; I haven’t read the script. And neither has Miss Porter, she said the other day when she came to town from the country house in Connecticut where she is completing her first full-length novel. She is a beautiful woman of 61 with white hair and shining blue eyes. “I met a boy, an army lieutenant . . . Our time was so short and we were much in love. But we were shy. It was a step forward and two steps back with us . . . I was taken ill with the flu. They gave me up. The paper had my obit set in type. I’ve seen the correspondence between my father and sister on plans for my funeral . . .
B50 Note: Katherine Anne Porter (who received the Pulitzer Prize for Literature in 1965) was a reporter at the Rocky Mountain News during and after World War I (in 1918 and 1919); at the News, she worked as the theater editor, and also acted in a number of plays at the Little Theater, which had recently opened in Denver. When she contracted influenza in October of 1918, during the height of the epidemic, she was denied access to any hospital as there were no beds available. Between September 1918 and June 1919 nearly 1,500 denver residents died due to influenza and its complications. 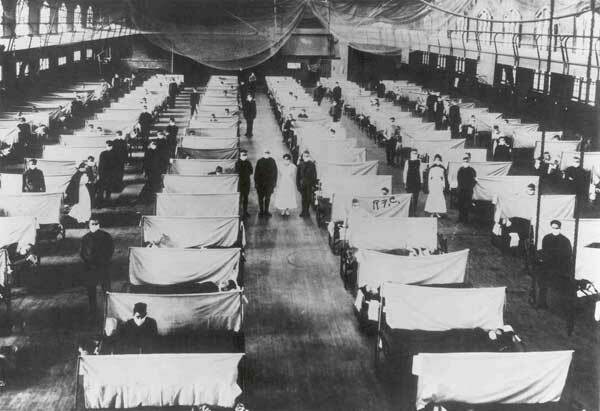 For more on the effects of the pandemic in Colorado, read “The 1918 Influenza Outbreak: An Unforgettable Legacy” by Stephen J. Leonard, chair of the history department at Metropolitan State College of Denver. 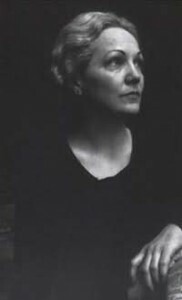 In 1939, Katherine Anne Porter published her short novel, “Pale Horse, Pale Rider,” based on her experiences in Denver. During much of her time in Denver, Katherine Anne Porter lived in a rooming house located at 1512 York Street. 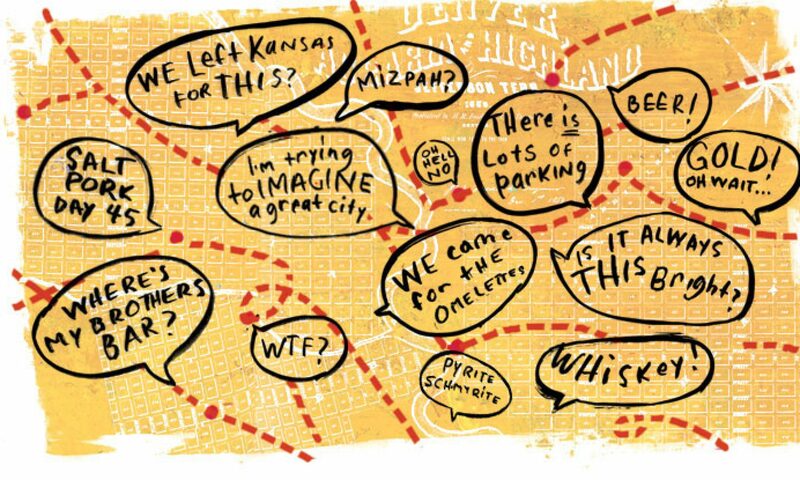 You can read more of her time here in Tom Noel’s Literary Tour of Denver. No more war, no more plague, only the dazed silence that follows the ceasing of heavy guns; noiseless houses with the shades drawn, empty streets, the dead cold light of tomorrow. Now there would be time for everything.